Before his early death from cancer in 1978, Andre Cadere was a fierce presence on the European art scene. 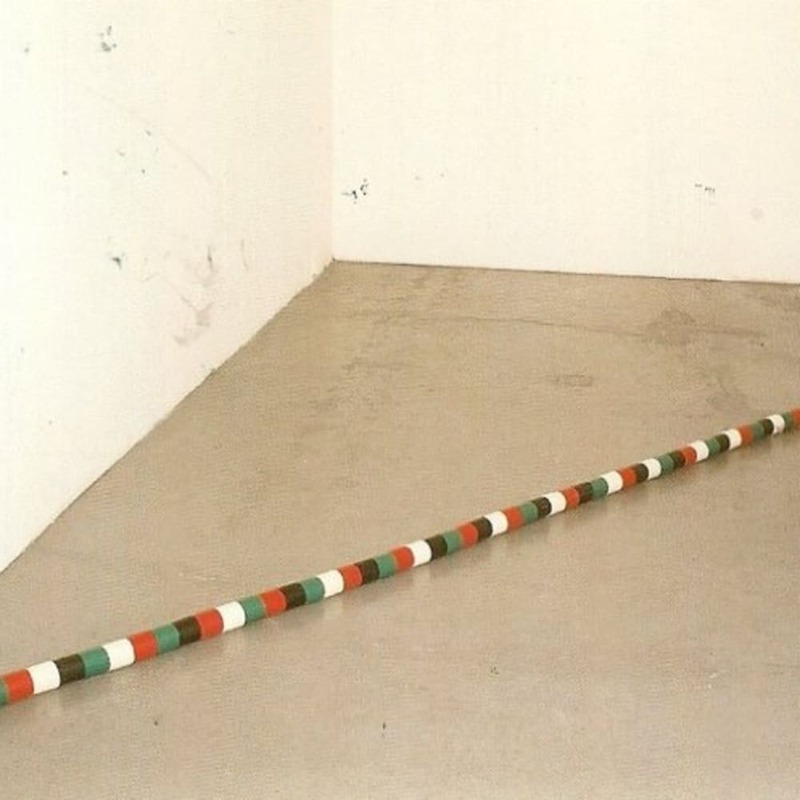 He is best known for his Barres de bois rond (1970-78), long wooden poles comprised of different coloured cylindrical units apparently uniform but each with deliberate error in their composition. Romanian born, he lived and worked in Paris, with various interludes in London and New York. The mobility and autonomy allowed by his barres de bois rond ensured that he was liberated from the confines of the gallery space: the situations that arose from his presence at exhibitions and museums were the artworks themselves. Solo exhibitions at Modern Art Oxford, UK, Musee d'Art Moderne de la ville de Paris, Paris, and P.S.1 Museum, NYC, have established his presence within the art historical conceptual canon.